For decades, the top 1% have had a tremendous edge when it comes to growing their money. Now, tens of thousands of Americans, from across the nation, are taking advantage of their most coveted income-boosting secrets. A typical mid-30’s couple from Seattle is already F.I.R.E.’d – financially independent and retired early – and on track to collect $8,300 in effortless income each month … for life! Steve B. and his wife Sandy retired early as well. In just three months’ time the Arizona couple has collected $69,000 in extra income while barely lifting a finger. Another family is making as much as $56,900 in extra effortless income each year. And retired nurse Gina W. and her husband Mark are using the near-effortless income, they’re now collecting, to travel the world without worry. At the time when The Washington Post reports the No.1 fear of Americans is running out of money, these unbelievable streams of extra income are unlocking the type of financial freedom few ever dared dream of. In his eye-opening new book, acclaimed personal finance expert Ted Bauman lays bare the details of 50 tips, tools and secrets the 1% have been using to make effortless, extra income for decades. They are methods that can be used by most anyone – no matter your age, education or how much money you have saved up. Some are even a matter of public record, documented for anyone to take advantage of. And yet, odds are fewer than 1-in-100,000 Main Street Americans know they even exist. Our nation is one of the most productive countries on the planet thanks to the generations of sacrifice, effort and sweat our families have given to it. And if you’re like most, you’ve spent years working yourself ragged to achieve the American dream. You deserve better than a crash-strapped retirement living from one Social Security check to the next. You’ve earned the right to spend your golden years enjoying everything life has to offer you. 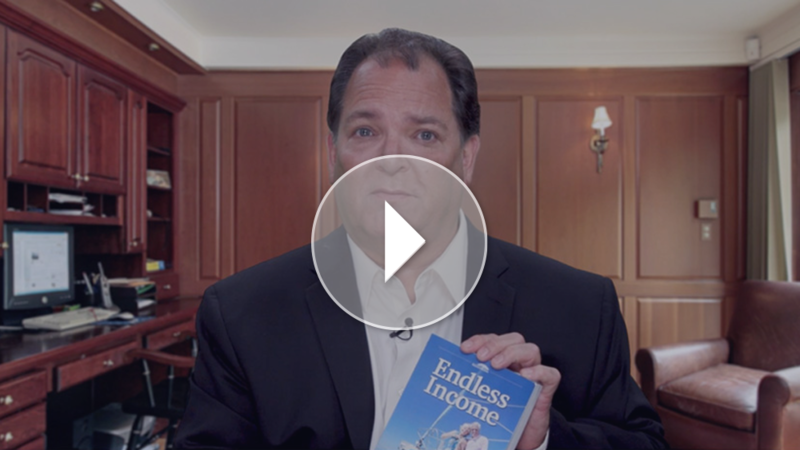 The income-boosting secrets detailed in his new book – “Endless Income: 50 Secrets to a Happier, Richer Life“ – reveal the keys to collecting up to $412,000 in extra money. Each. Year. And Ted has made arrangements to give a FREE copy to the first 850 people who claim one TODAY.